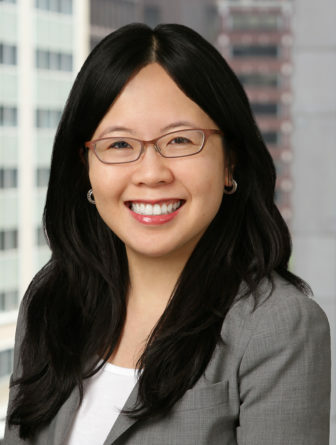 Rachel S. Li Wai Suen is a seasoned litigator whose practice focuses on the representation of individual and corporate clients in complex white-collar criminal cases at all stages (investigations, trials, sentencing proceedings, and appeals). Rachel is an experienced trial attorney, having tried multi-week criminal jury trials to verdict in federal district court. She also regularly advises clients in internal investigations and government enforcement matters, including investigations by the U.S. Department of Justice, the Securities and Exchange Commission, and the Public Company Accounting Oversight Board. Rachel has represented clients in a wide range of criminal matters involving alleged antitrust, Foreign Corrupt Practices Act, securities fraud, tax fraud, honest services fraud, conspiracy, obstruction of justice, and other offenses. Rachel received a Master of Laws degree in 2003 from Harvard Law School, where she was a Frank M. Knox Fellow. In 2001, she received a Bachelor of Laws degree from Osgoode Hall Law School of York University in Toronto, Ontario, where she graduated first in her class and served as a law review editor. Upon graduating from law school, Rachel served as a law clerk for the Honorable Mr. Justice John Major on the Supreme Court of Canada. Before joining Robbins Russell in 2018 as Senior Counsel, Rachel was Counsel at The Law Offices of Gregory L. Poe PLLC (formerly known as Poe & Burton PLLC) and an associate at Robbins, Russell and Sullivan & Cromwell LLP. Counsel running the trial team in representation of lead defendant accused of bribery, conspiracy, and honest services fraud offenses relating to the military contracting industry. Two-week trial in the U.S. District Court for the Eastern District of Virginia resulting in acquittal on all eight counts. Counsel running the trial team defending client accused of multiple conspiracy and fraud offenses relating to the municipal bond industry. Month-long trial in the U.S. District Court for the Southern District of New York. Representation of multiple witnesses in connection with domestic and cross-border investigations relating to a broad range of industries, including oil and gas, government contracting, airlines, semiconductor manufacturing, health care consulting, pharmaceuticals, security services training, shipping and logistics, retail services, and auto parts manufacturing.